File photo: Casey Bloys, president, HBO programming, participates in a panel during the HBO Television Critics Association Summer Press Tour at the Beverly Hilton, July 26, 2017, in Beverly Hills, California. HBO is reportedly willing to make a "good faith" payment of $250,000, calling it a "bug bounty" reward for IT professionals rather than a ransom. Hackers this week released an email from HBO in which the company expressed willingness to pay them $250,000 as part of a negotiation over data swiped from HBO's servers. The July 27 email was sent by John Beyler, an HBO executive who thanked the hackers for "making us aware" of previously unknown security vulnerabilities. The executive asked for a 1-week delay and said HBO was willing to make a "good faith" payment of $250,000, calling it a "bug bounty" reward for IT professionals rather than a ransom. HBO declined to comment. A person close to the investigation confirmed the authenticity of the email, but said it was an attempt to buy time and assess the situation. The same hackers have subsequently released two dumps of HBO material and demanded a multi-million dollar ransom. HOW BAD IS THE HACK? Whether or not HBO ever intended to follow through with its $250,000 offer, the email raised questions Friday among security professionals about the importance of the data and whether HBO's reaction might encourage future attacks. "It's interesting that they're spinning it as a bug bounty program," said Pablo Garcia, CEO of FFRI North America, based in Aliso Viejo, California. "They're being extorted. If it was a bug bounty, it'd be on the up and up." Beyler's email to the hackers said the company was working "very hard" to review all the material they provided, and also trying to figure out a way to make a large transaction in bitcoin, the hackers' preferred payment method. "You have the advantage of having surprised us," Beyler wrote. "In the spirit of professional cooperation, we are asking you to extend your deadline for one week." 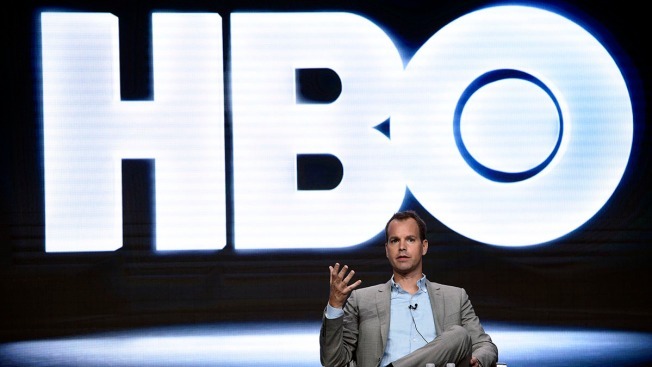 The first HBO hack became publicly known on July 31. Beyler's email, sent several days earlier, might have been an attempt to make the problem go away without too much bad publicity for HBO, said Sanjay Goel, a professor at the University at Albany and chairman of its information technology management department. "Hackers are not in this game for $250,000; this probably took them a lot of time and effort," Goel said. "That's a very, very small amount in these kinds of negotiations." Then, on Monday, hackers using the name "Mr. Smith" posted a fresh cache of stolen HBO files online, and demanded that the network pay a ransom of several million dollars to prevent further such releases. The leaks included scripts from "Game of Thrones" episodes and a month's worth of email from the account of HBO's vice president for film programming. There were also internal documents, including a report of legal claims against the network and job offer letters to top executives. HBO has said that it is working with law enforcement and cybersecurity firms to investigate the attack, which is the latest to hit a Hollywood business. In April, a hacker claimed to have released episodes of Netflix's "Orange is the New Black" ahead of their official launch date. The leaks so far have fallen well short of the chaos inflicted on Sony in 2014. But paying ransoms to hackers can be dangerous because it shows that being a bad-guy hacker is a good business, said cybersecurity expert Oren Falkowitz, CEO of Redwood City, California-based Area 1 Security. Companies would be better off investing in preventing email spear-fishing attempts and other hacking techniques, he said. "The reason they got in this scenario is they didn't have the right pre-emption strategy," Falkowitz said. "The next company, whether it's Showtime or Death Row Records or whomever, needs to see that they're going to wake up one day to this reality unless they confront it."